My childhood home was a bit unusual. Entering it was a surreal experience for anyone who didn’t know my family. My relatives thought nothing of it, but my in-laws were incredulous the first time they saw it. 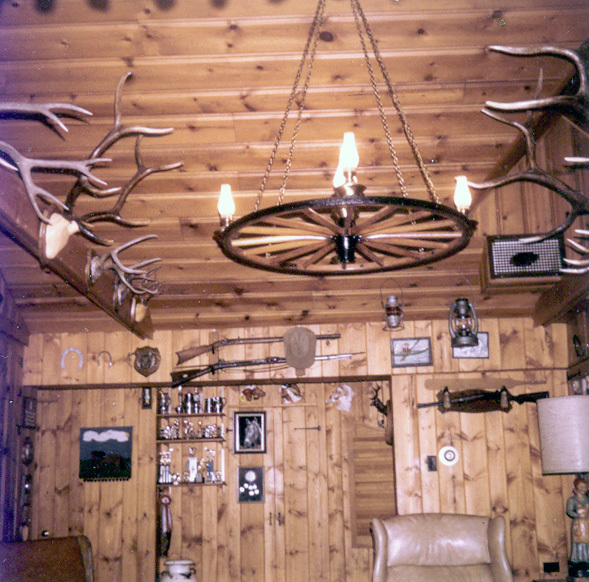 The room itself was real pine plank, not paneling. 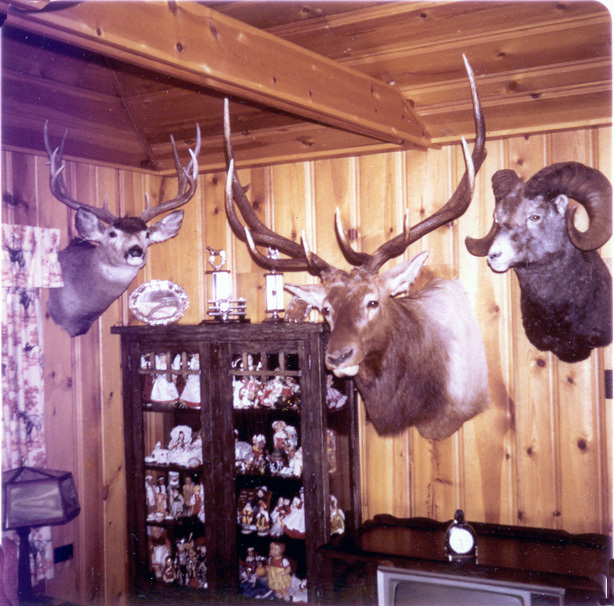 It had antlers, guns, trophies, horse memorabilia, stuffed animal heads, and a doll collection among other things. There were antiques everywhere, mostly from friends or family who had died. Most of what was there had a story attached to it. Men on my side of the family hunted and we ate it all. I picked buckshot out of pheasants, chewed on incredibly tough elk, and ate fishy tasting duck. We all respected guns and knew to not touch them without reason. The house itself was creepy. It was in (at that time) a fairly rural area. There was always some kind of strange noise to scare us. My parents never had to worry about my favorite boy toy and I being there by ourselves. We were usually right out the door after them if they didn’t stay home when he came over. Still, I look at these pictures now and think wow – did I really live with that? Word for tomorrow – PARTITION. If you prefer to work ahead, see the list for the week under “A Word A Day”. Wow, those are amazing pictures. Yeah, that certainly looks familiar, but not so nick nacky. We need to share our pictures of dad, it would be very interesting I am sure. I bet there’s a lot of similarities with our pictures and our stories! Amazing! Looks like it could have been a western store or restaurant.